September | 2010 | KARIBU! The Indian Ocean view from our room! I am typing this as I woke up super early, on our last full day here in Dar. The sun is rising over the Indian Ocean, which I can see from our bedroom, all is peaceful and quiet. This is making me so aware of the fact that I will miss Tanzania very much. Although the year has been so full, and seemed long at times, it is hard to believe that this is it. Stepping off of the plane just over a year ago we had no idea what we were getting ourselves into, but we have nothing but gratitude for this experience. We will truly miss Tanzania, and our friends here. At lunch yesterday, Austin and I wrote down things that we have learned from this experience and want to take back home to our life in America. I hope that we are able to make those goals a reality. We have both changed, been stretched and grown so much this year. I pray that we are able to keep it up. Thank you to everyone who has supported us, encouraged us, and loved us, both here and around the world! I for sure would not have made it a full year here with out it. Maybe one day we will make it back here, to visit, or even work again, but for now we are at peace in knowing that we are going back home. We are not really sure what God has in mind for us when we get there but we would love your prayers for safe travels, getting settled in and for the transition back to life in America. It is customary in Tanzania, for foreigners and upper class Tanzanians, to hire a house worker to do daily tasks, such as cleaning and laundry. Some people even have hired full time cooks and drivers. Upon coming here, Austin and I were unsure of how this would work because we are very capable of doing our own chores, however, we very much wanted to be able to provide a job for someone here. We ended up hiring a girl named Jackie, who is the sister of one of our friends workers. I had no idea then, how much of an impact she would make on us in just one year! 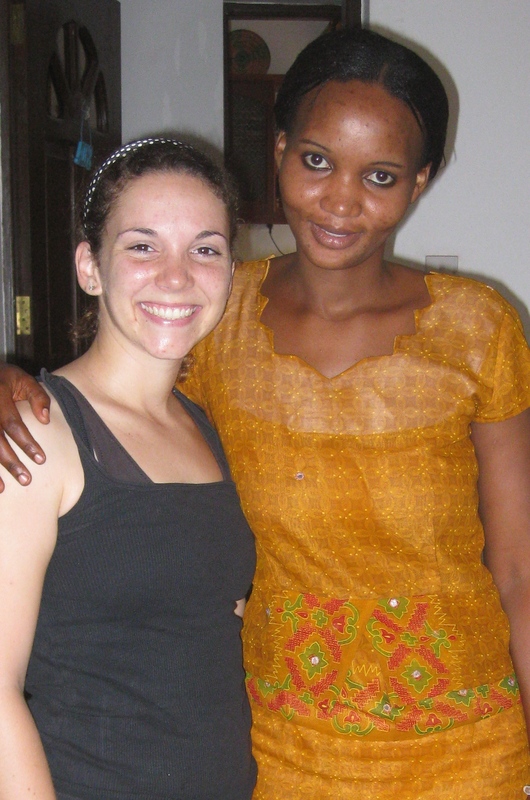 Over the course of this year, she has become my closest friend here in Tanzania, and I am so very grateful for the time I have spent with her. One year ago Jackie had no job, and like many Tanzanians, comes from a loving but poor family, and at 25, just a few months older than me, she has been through so many trials. However, she is so strong, and through our time together we have both grown together in friendship and in the Lord. Although, I truly have appreciated all that she has done for us when it comes to house chores and much much more, it is her friendship I have appreciated most. At first, this was very difficult because of the language barrier. She has pretty much no English, and with my limited Kiswahili our conversations were basic greetings, and me frantically searching in the dictionary for every word of a sentence. As the year progressed, I started to pick up more and more Kiswahili. I learned a bit of grammar and my vocabulary grew which was a big help. Unfortunately, because I was working at an all English speaking school it was difficult for me to really get good practice in. In January, I began teaching Jackie to cook lots of new dishes. After a few weeks, I was amazed at how much better my Kiswahili was getting, but even more amazed at how much I loved that time I was having with her. After school three times a week I would do my very best to come home and think of something new we could learn to cook together. I too am a novice chef and so we were learning together. We have had so much fun deciphering each other and eventually getting to a point where we can have full conversations. : ) YAY! After the craziness of the end of the school year, my time with Jackie increased dramatically, which I was so very happy about. She can now cook so many “Western” foods, which is great for her in keeping a job in the future. Most of all I have loved our conversations. We talk about family and how we grew up. She is one of 8 children and grew up in Moshi, a town at the bottom of Mt. Kilimanjaro. She has two children Ramson who is 8 and goes to school in Moshi, and is looked after by Jackie’s mom, and Kevin who is 2 and lives with her here in Dar es Salaam. She has a husband named Steve, who is a driver. She loves her family very much, and is so dedicated to providing for them. We talk about faith in the Lord and how He helps us through everything. She loves going to church, and Bible study, and is so inspired by how much her son Ramson loves Jesus. 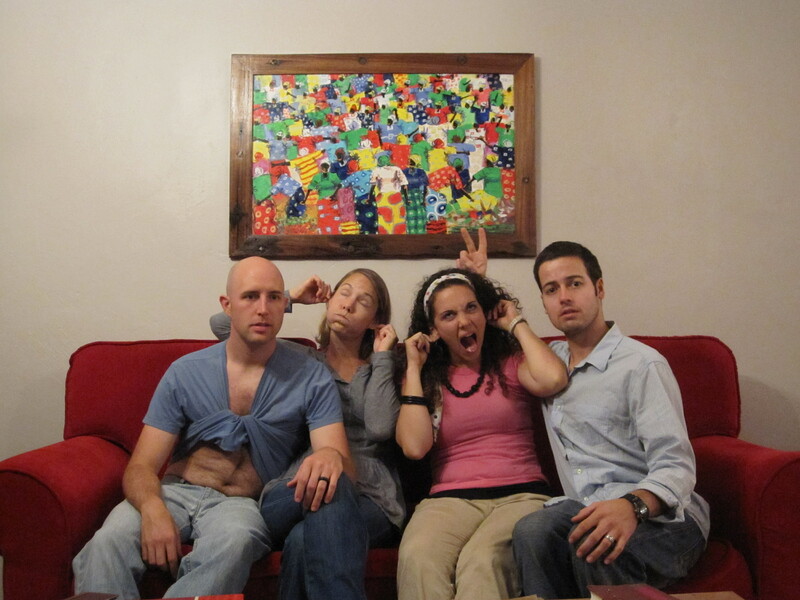 We talk about how different life is in America and Tanzania, which I find really hard to explain. We talk about her dreams to learn English, for her kids to go to great schools and succeed, and how she wants to own her very own shop.We talk about pretty much everything, and although many Tanzanians do not understand my Kiswahili very well, Jackie is able to decipher meaning from what I am saying which gives me more confidence, to keep trying. Words truly cannot express how thankful I am for her, and how much I am going to miss her. She has taught me so much about life in Tanzania, lots of Kiswahili, and so much about how to live with the Joy of the Lord! I think what is most crazy to me, is that she and I are so close in age yet, we come from two completely different worlds, neither one better than the other, just completely different. She for sure gone through more struggles than I have, and yet is still so filled with joy and hope. This is so humbling. What a blessing it has been that the Lord has crossed our paths. In all of our differences He is truly the one who unites us. I pray so many blessings on Jackie, and her family. and I do pray that her hopes and dreams may one day be a reality. Asante Sana Jackie, kwa kuwa rafiki yangu mkubwa.! Nitakukosa sana. Mungu akubariki sana! Shortly after arriving in Dar, we met a couple who does International School Young Life here in Africa, Zac and Hannah West. We had no idea then that we would have lots of opportunities to hang out and grow close to them over this year. The work they do here is very different from the Young Life Africa national ministries. 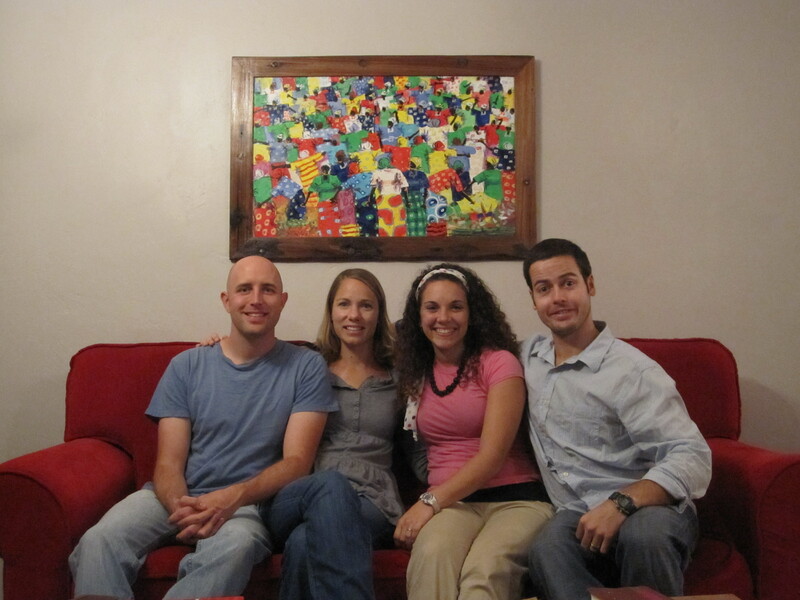 They work at International Schools in Arusha, Tanzania, which are comprised of students from all over the world. Many of their parents are UN workers, Ambassadors, NGO workers, and wealthy businessmen and women in the community. The students come from outside of Arusha, and are boarded at the schools. This makes for a challenging yet awesome opportunity to come along side these kids and share Jesus. 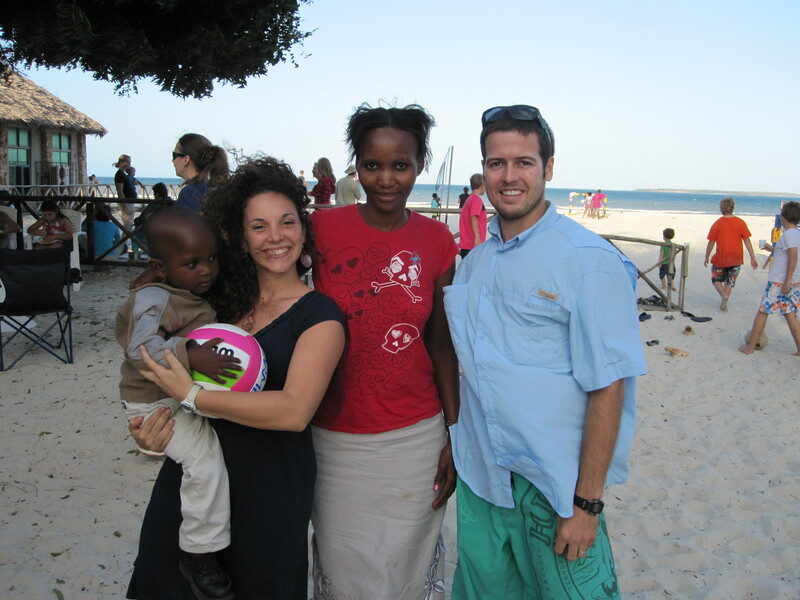 Zac and Hannah have now lived in Arusha for two and half years, and are doing such amazing work. The have around 60 kids that come to club each week and just this year had the first ever International School Camp, which we were blessed to be apart of. What is most amazing, is how passionate they are about loving these kids and the work they are doing. Besides being great at what they are doing, they are also just so much fun to be around. Hannah, is a whiz in the kitchen and is always teaching me new tricks and tips, and Zac is so funny and always has Austin and I rolling with laughter. We love visiting them for many reasons. First, Arusha is a great break from the heat here. Second, we love their cute house, with its beautiful view of Mt. Meru and its location in the coffee plantation. Third, we love playing games and the great conversations we have. We have been so grateful for their friendship and pray that their work continues to be fruitful. We are also praying for them as they are in the process of adoption here which is so very complicated. Please join us in prayer for their ministry and adoption. WE LOVE ZAC AND HANNAH!